SMT’s vast range of attachments includes the Holms sweepers and snowploughs. 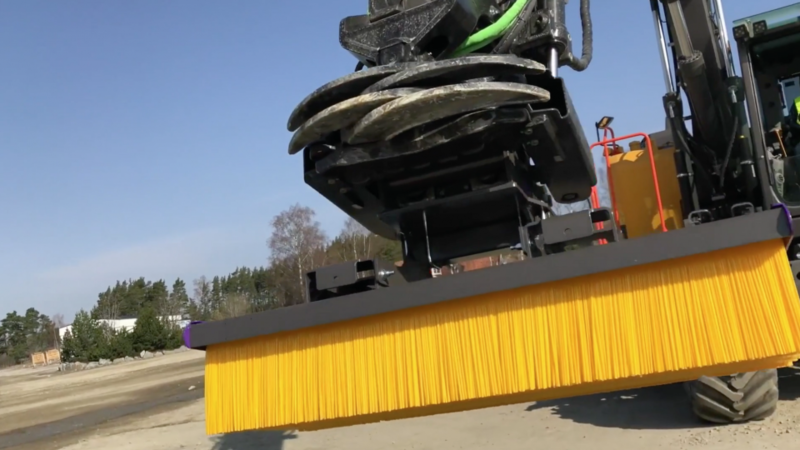 For over 70 years, Swedish manufacturer Holms has been developing and producing advanced sweepers for various maintenance tasks. Their many years of experience combined with the latest technological developments are the foundation for the high-quality Holms products. SMT is the exclusive distributor in the Netherlands for this quality brand. Sweeper options for Volvo equipment - daily convenience for big cleaning jobs. Holms sweepers are perfectly suited to Volvo machines. They have been developed and produced according to Holms’ high standard. They’re built exclusively with original parts to make your work simple and reliable. That way, you can keep doing your job safely and efficiently. Year in, year out. And with a high resale value at the end. Holms parts are sturdy and effective; the perfect tool for clearing the road. The plough options have been designed in such a way that they will meet the requirements of even the most demanding operator. Not only in terms of safety and sustainability, but also with regard to cost and sturdiness. Holms snowploughs are ideal for meeting all the requirements of the modern entrepreneur. The smart Holms parts fit seamlessly onto Volvo machines and as such offer optimal performance even under the most challenging circumstances. Our account managers will be happy to tell you all about it.